How many times over the past few years have you seen a road in Oregon featured in a car commercial? The truth is that car commercials are filmed in our state quite a few more times than you would think. 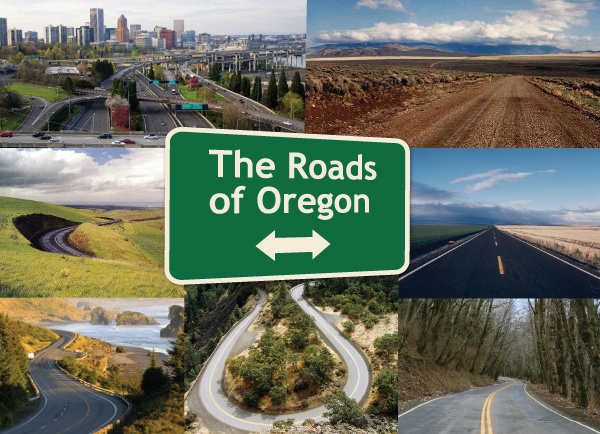 For that reason we created a “Roads of Oregon” micro-site featuring photos of roads across the state a few years ago. Today we are unveiling a new and improved site with more photos, higher quality images and a new interface that also organizes the roads by region. Thanks to the hard work of Nathan Cherrington, Bob Schmaling and Jane Ridley in the office, this site is up and running. One new feature is the bridges category. When you look at the wealth of images in this category, you realize there are some pretty stunning bridges in our state. One of my favorite new finds now on the site is the privately owned Oregon Raceway Park out in Eastern Oregon. Bob got wind of this racetrack in December and we found a few youtube videos showing off the track. We’ve heard through the grapevine that several high performance cars have been tested on this track over the years. Who knew? Obviously this site is designed to first and foremost attract car commercials but I believe it also does a great job of selling all the beautiful and diverse landscapes accross our state. And if you look through this site and believe you have better pictures than what we’re showing, please send them along! We’re open to more photos!